The weather outside may still be a bit frightful, but spring is already here. Hopefully fair skies and sunshine are coming soon, as there are a variety of great events around the greater Milwaukee area this month aiming to get you and your family outside and enjoying our great state. Easter and Earth Day are just around the corner, with celebrations across the city for you to enjoy. Looking to have a fun day out with the whole family? Check out the Cheep, Cheep Easter Celebration out in Mukwonago on April 8, 9, and 15th. The Elegant Farmer is hosting 4-H club members, who bring a whole bevy of baby bunnies, chicks, and guinea pigs for the kids to enjoy. Tickets are available to ride the East Troy Electric Railroad‘s Bunny Train to the e vent location where families can meet with the Easter Bunny and enjoy a selection of holiday candies and treats. Doors open at 9:30am and the celebration continues until 3pm. Cut the rug at a Great Gatsby themed dance party hosted by Fred Astaire Dance Studio in Milwaukee. Dancers of all skill levels are encouraged to attend in their 1920’s best to enjoy drink, appetizers, and roaring jazz. Individual and couple’s tickets are $35. The band starts up at 7:30pm on April 13th. Over in Saukville, Riveredge Nature Center is hosting an Easter egg hunt for the whole family on April 15th. No need to worry about the kids overloading on sugar, as this hunt is candy-free. Kids can wander the grounds exploring nature, meet some farm animals, or dye farm fresh natural eggs. Tickets are $7 each or $5 for Riveredge members. 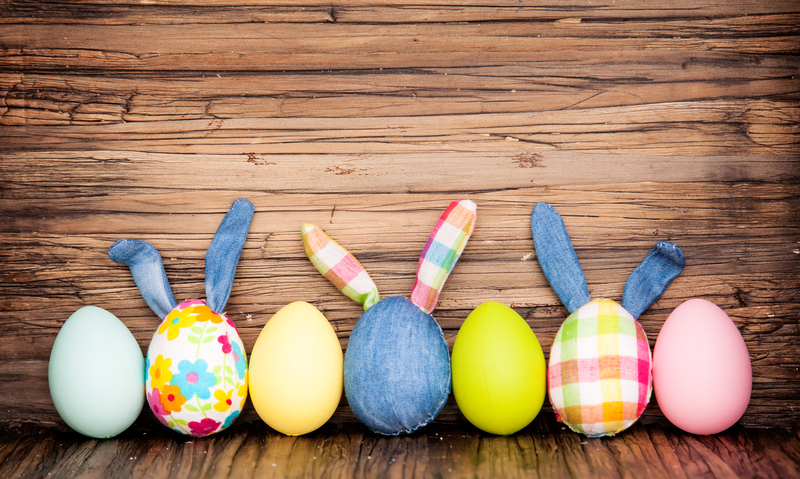 Egg hunts are divided into age groups and start at three staggered times: 9:30am, 11am, and 1pm. This event fills up fast each year, so check in today! Get into the spring spirit by joining Milwaukee Riverkeeper’s annual Milwaukee River Basin cleanup, where thousands of volunteers gather to pick up and maintain our environment. Afterwards, visit the free Rock the Green’s 6th Annual Earth Day Celebration, featuring live music and delicious sustainable food choices. Join the party on April 22nd at Picnic Area 6 of Estabrook Park in Milwaukee. Enjoy a night out with the Rotary Club of West Allis, who is hosting Cocktails for a Cause on April 29th. Guests will vote on their favorite premium cocktails while enjoying refreshments, live music, and a silent auction. Nonperishable food items are being collected for the benefit of Feeding America Eastern Wisconsin. Early bird tickets at $45, with regular admission set at $50. Grab your canned goods and be there when the doors open at 6:00pm. No matter what you have going on this month, A-1 Fence wishes all of our neighbors a very happy spring!